Top o’ the morning to ya! Happy St. Patrick’s Day! 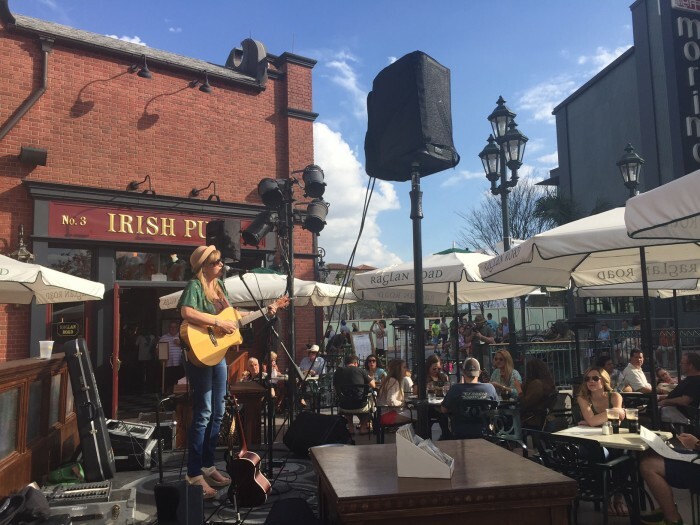 Just in time for the greenest of all holidays, I made a visit to Disney Springs to check out the Mighty Festival at Raglan Road, and made a few shopping diversions along the way. 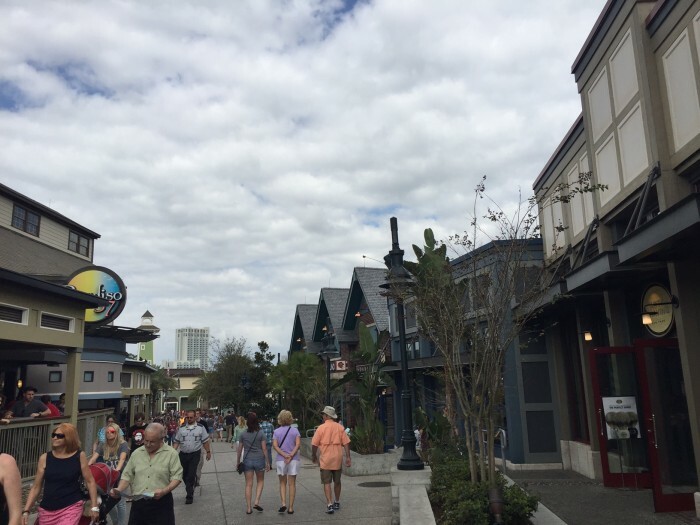 I visit Disney Springs about once a month it seems, if not more frequently, and I enjoy my visits much more than any visits I can remember at Downtown Disney (excluding any and all romps around Pleasure Island’s amazing night clubs). This particular trip I enjoyed a little bit of shopping and soaked up as much Irish fun as I could. 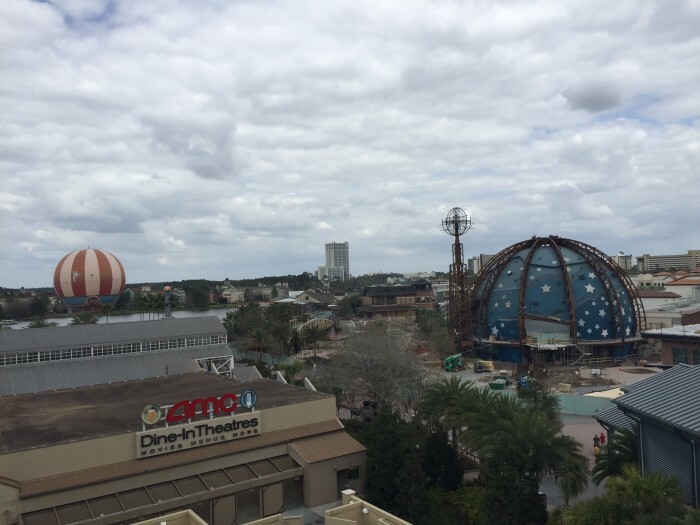 Along the rooftop of the parking garage you can check out some cool views of Disney Springs. 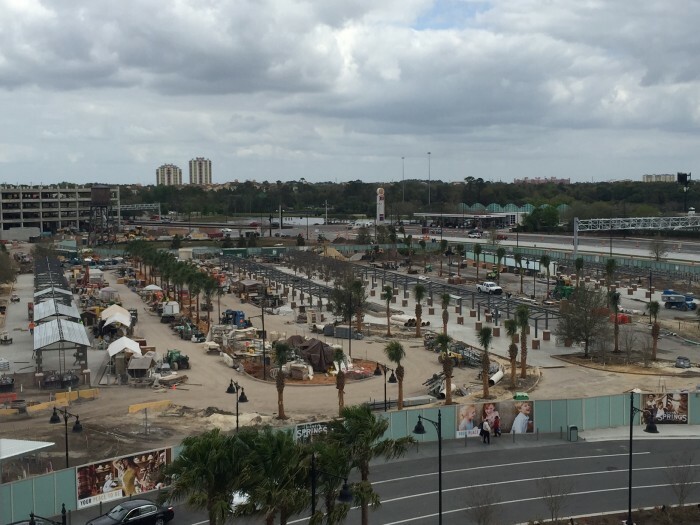 From this vantage point you can get a bird’s eye view of the remaining construction of Disney Springs. 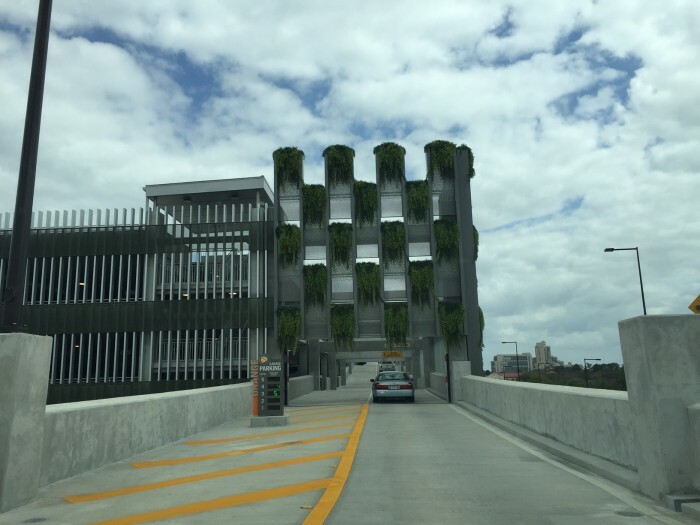 The most notable construction projects are the Town Center, which will be the Spanish architecture laden area in front of The Landing, the massive bus terminal, and Planet Hollywood’s extreme makeover. Once I made it down to ground level I noticed a cute photo opportunity for Zootopia outside the AMC movie theater. 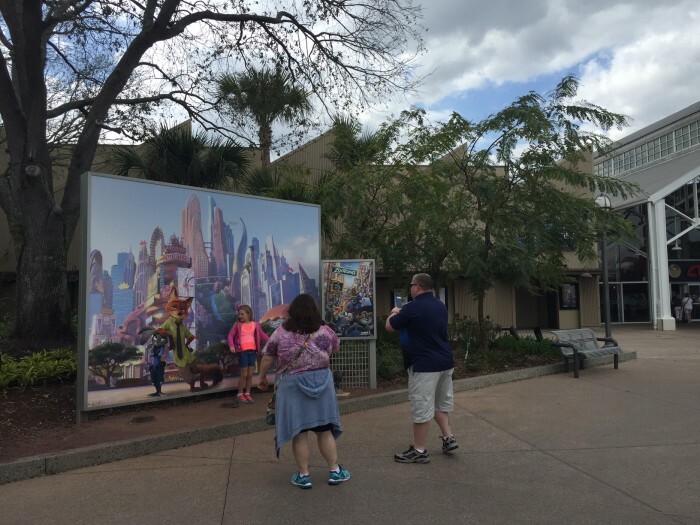 This photo spot gave Star Wars fans a great background for a picture while The Force Awakens was in theaters. Hopefully this will stick around and change with the latest and greatest Disney Studios movie. Before each visit to Disney Springs I continuously tell myself that I am going to venture beyond The Landing. But sure enough, The Landing draws me in and the West Side and Marketplace can’t seem to pull me away. Certain as the sun, as I headed past AMC Theaters when faced with the choice to go left for West Side or right for The Landing, I chose The Landing. Heading along the bridge I noticed that STK, an upscale steakhouse with locations in some of the country’s best culinary cities like Chicago and Las Vegas, now has its marquee in place. 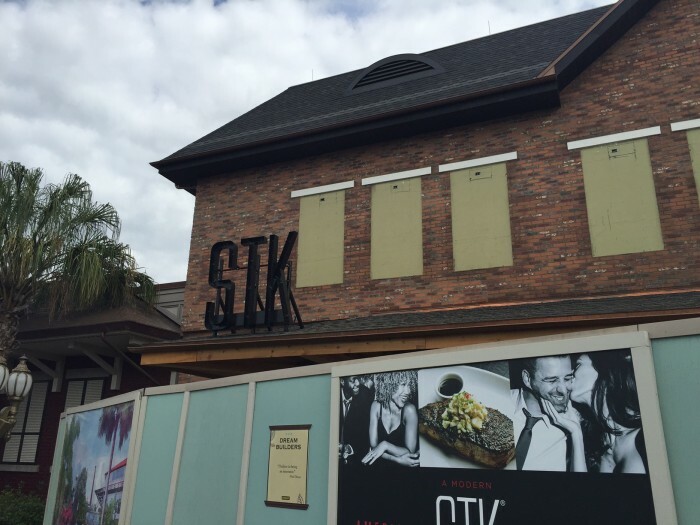 It’ll be interesting to see how the existing steakhouses on property like Le Cellier, Shula’s, and Yachtsmen fare against STK when it finally opens. With the construction walls on either side of the walkway, this part of The Landing can get quite congested. 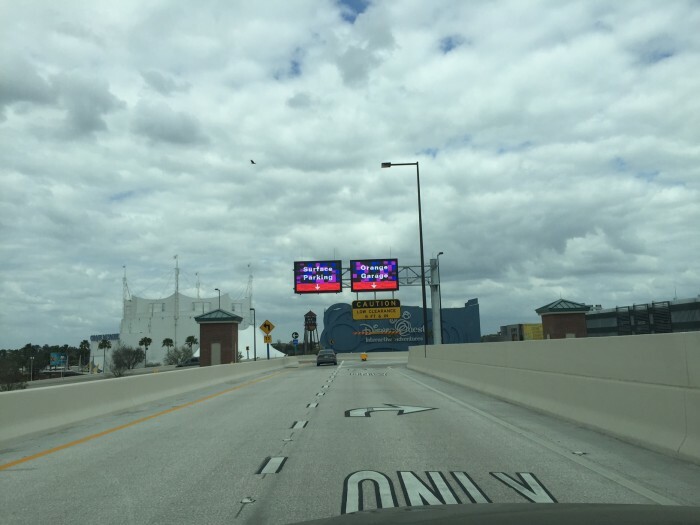 The weather was a lovely 83 degrees Fahrenheit and Spring Break has started for a few spots around the country, but it was still a manageable traffic flow. 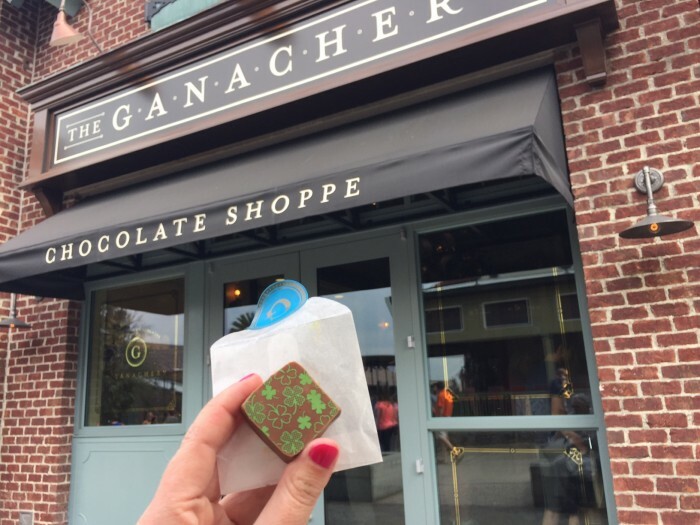 Last time I visited Disney Springs I stopped in at The Ganachery to check it out and take photos. I was impressed by the design and overall feel of the space, but was a little taken aback by the price tag. This time I decided to indulge in at least just one piece. 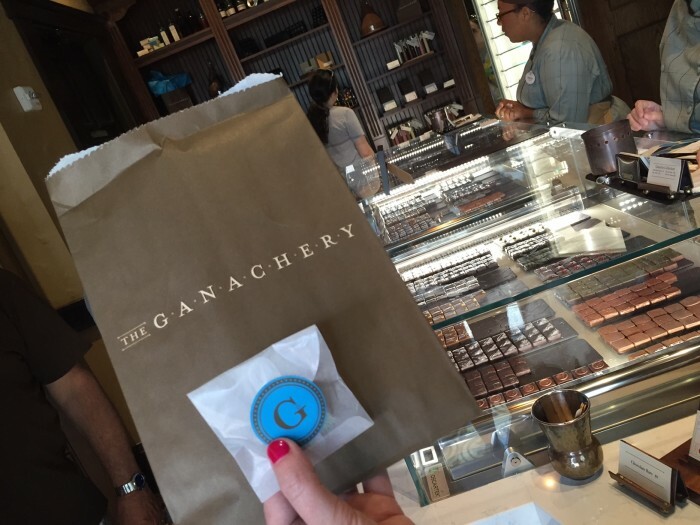 One neat feature about The Ganachery is seasonal flavors will be available for various holidays and celebrations. For St. Patrick’s Day two specialty flavored chocolates are offered. 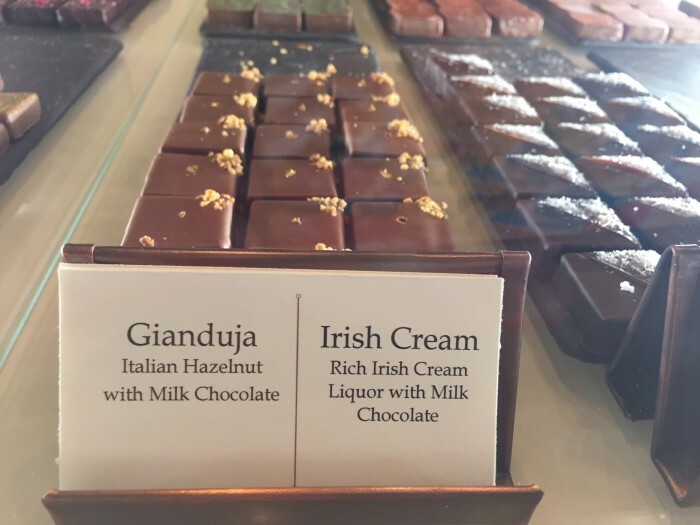 Irish Cream and Stout, the Irish Cream is a milk chocolate truffle with a smooth, rich Irish Cream filling, the Stout is dark chocolate with a deep dark chocolate filling blended with Guinness. 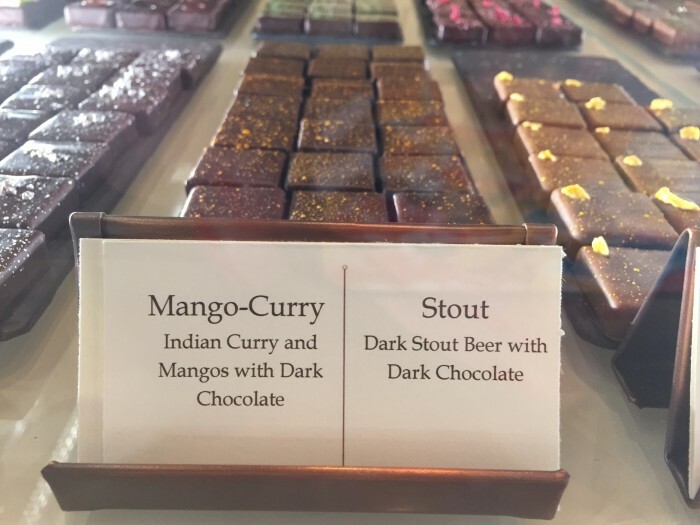 I preferred the Stout, though I am partial to dark chocolate anything. Each truffle is $3.00 and no discounts are currently available. I wonder how much of the $3.00 for one chocolate goes towards the pretty packaging. Very near The Ganachery is one of my favorite shoe brands, Sanuk. This is one of the many new chain retailers to find a home on Disney property, and I have to say their presence on Disney property has been positive. 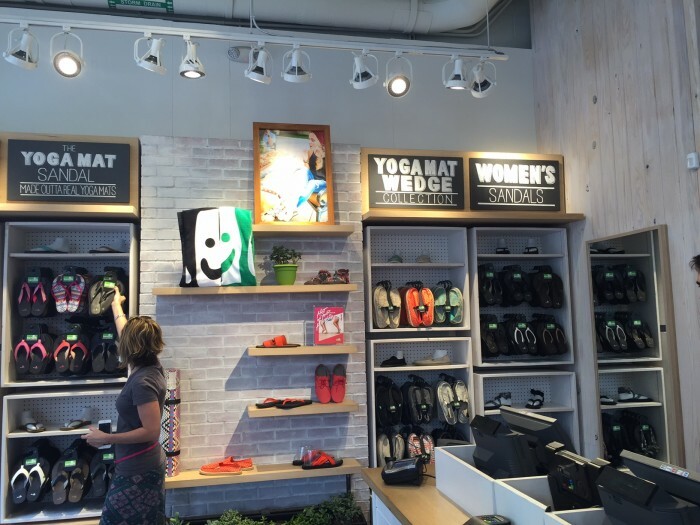 I never knew about Sanuk before they opened this Disney Springs location. I couldn’t resist the temptation to pop in and see what new styles they had. Their slogan is “never uncomfortable” and I have to agree. I already own two pairs of their sandals with soles made of the same material as yoga mats. They are some of the most comfortable sandals I’ve ever owned. 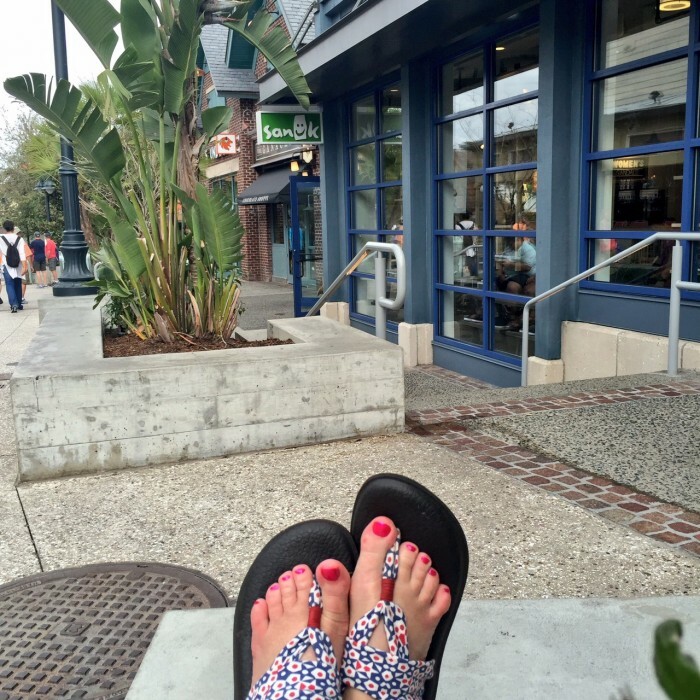 However, they are usually priced around $38 per pair, which is a bit hefty for sandals. I have tiny feet, wearing a size 6, which can be hard to find. This works to my advantage with Sanuk because I can wear their youth size shoes, which are $10 less than adult sizes. I found myself a cute pair of aqua colored sandals and decided they deserved a loving home… with me. 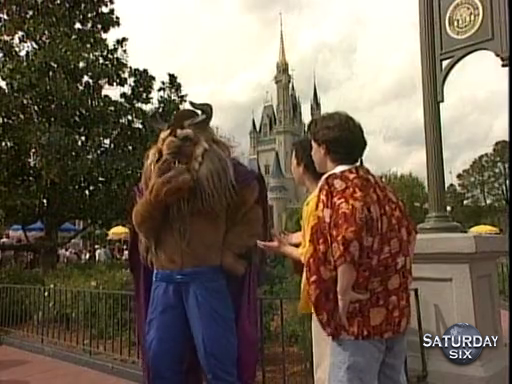 Annual passholders do receive a 10% discount. 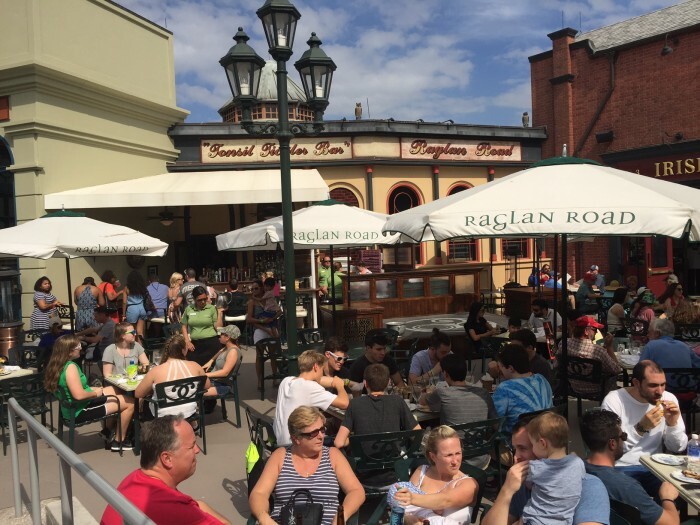 Decision time came, do I head down to the Marketplace, maybe check out the new Disney Travel-Accessories-Gear (TAG) store, or do I head to Raglan Road and start to enjoy the Mighty Festival. As I approached Raglan Road I could not resist. Even before the walk up to the pub, the Mighty Festival decorations could be seen and a beverage cart perched on the corner beckoned. In fact the beverage cart added just for Mighty Festival lured me in and I indulged in a special drink in a souvenir cup. 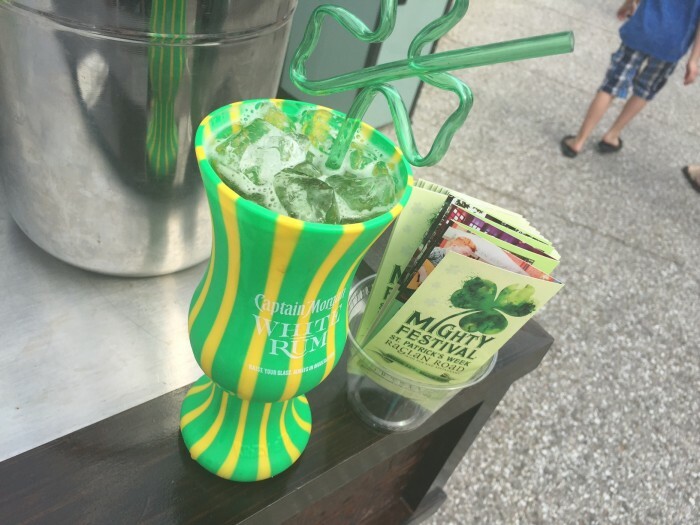 The “Magners Cannonblast” is served in a souvenir cup with a shamrock shaped straw. This expensive specialty drink was actually quite refreshing. 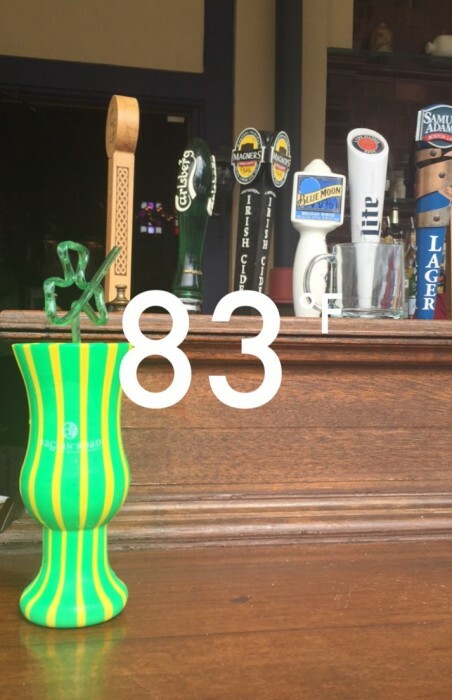 Magner’s Irish Cider is crisp and makes for an interesting mixer with the Captain Morgan Cannon Blast Rum (a rum with a heavy spice flavor). At $14 I had a little bit of buyer’s remorse, though it is important to note a Guinness is $9 (at the outdoor bar and restaurant) and this beverage was stronger and came in a cool cup. After slowly nursing my beverage, I peeked inside, knowing the chances are finding any space would be slim. 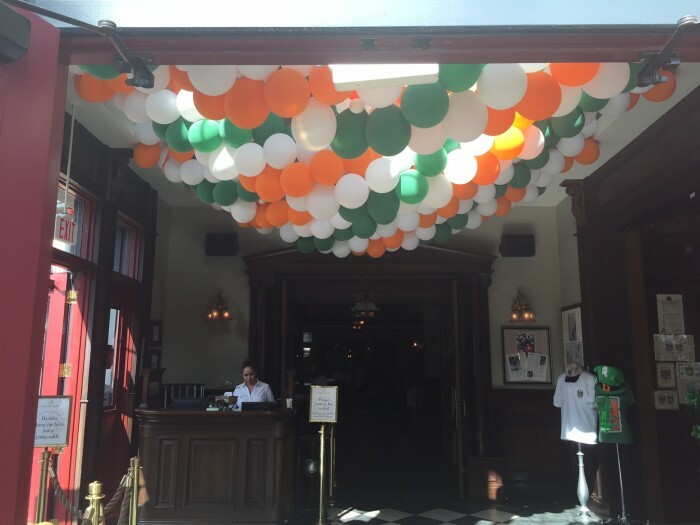 A few decorations and bunches of balloons streamed across the ceiling. The Irish folk dancers took the stage. 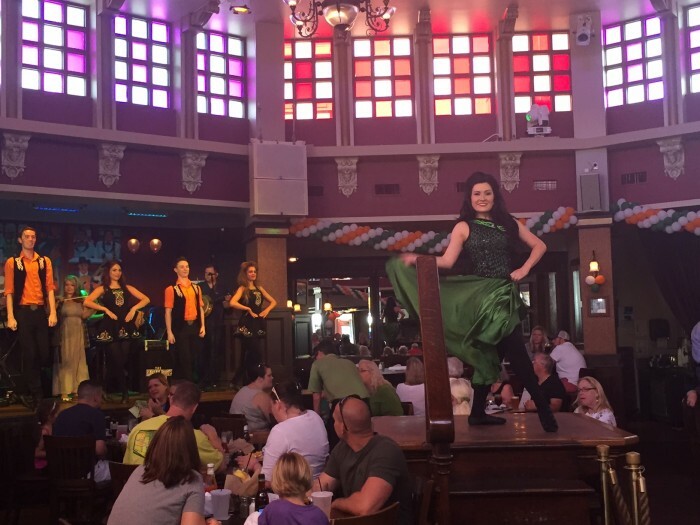 Typically there is just one dancer in the center stage, surrounded by dining patrons. For the Mighty Festival however, a whole troupe of dancers take the stage. I stood to the side to enjoy the performance before heading to the outdoor area, alive with festivities. The Tonsil Tickler Bar awaits outside – what a name right? I had the luck of the Irish on my side as I was able to secure a seat for myself and for my friend who later joined me for a Guinness. It was about 3:00 PM and the crowd was building. 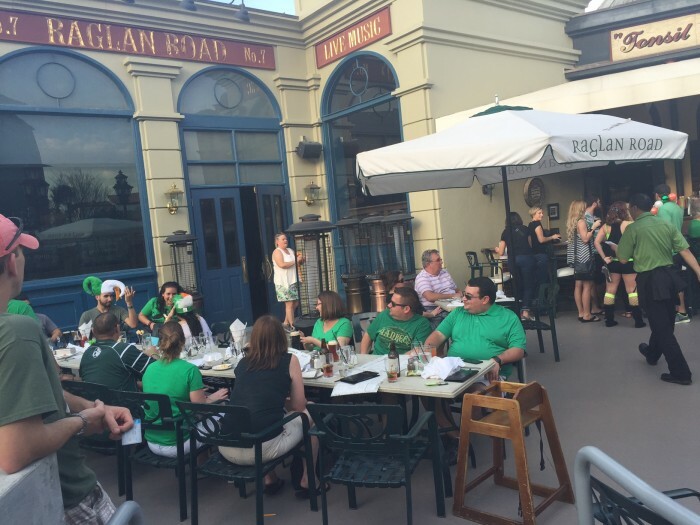 About half of the guests were dressed in green attire, a few groups gathered to celebrate. I sat down in time to still be presented the Brunch menu. 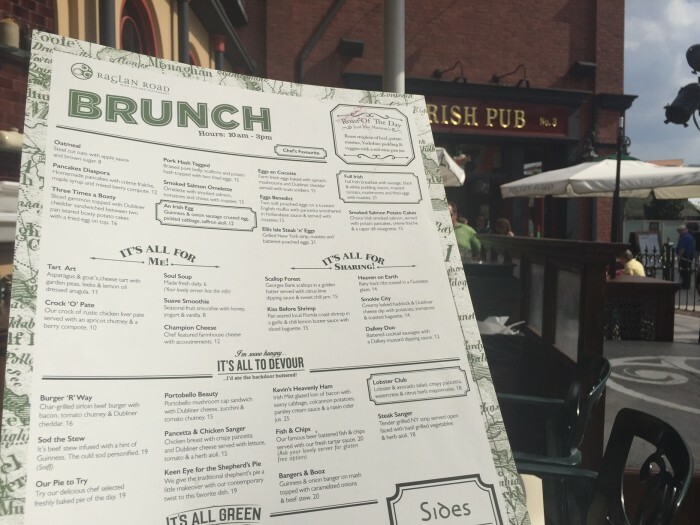 Raglan Road’s brunch menu is full of delicious creations. Brunch is a big deal in Orlando, so if you’re a restaurant offering brunch you better bring it! Prices of entrees range from $13 – $20, a smidge high for my liking. On a previous visit I enjoyed one of the appetizers that is made for sharing. Dubbed the Smokie City. At the time it was a brisk morning (yes, we do get those in Orlando once in a while) and it fit the weather perfectly. The hearty dip is full of melty, bubbly Irish cheese, a cast iron dish is filled to the brim with creamy, potatoes, tomatoes, and best of all smoked cod. It is indulgent and satisfying ($14). This time around with the warm weather ushering in Spring, I opted for slightly lighter fare and ordered the Hail Cesar Salad. 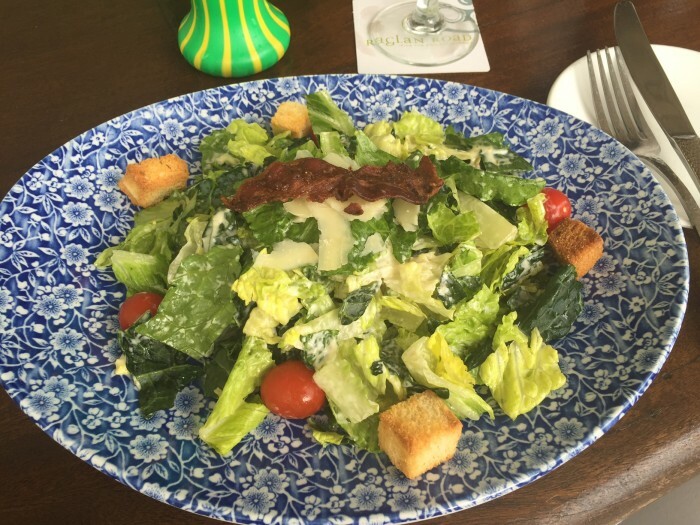 This not your typical lettuce and Parmesan cheese combo, instead mixed romaine and kale is topped with pancetta crisps, grape tomatoes, thick Parmesan cheese shavings, and crouton freshly prepared. The dressing is thick and traditional, the distinct taste of anchovies is hard to miss. On a warm day, seated outside, it was a good choice. As 4:00 PM approached the outdoor stage (a special offering just for the Mighty Festival) was set and the crowd began to build. The atmosphere was fun and festive. I enjoyed seeing so many people gathered to enjoy the food, drinks, and live entertainment. I will always miss Pleasure Island, nothing will ever come close, but Disney Springs does have its moments and this festival is one of them. It is an annual event typically starting the weekend before St. Patrick’s Day. 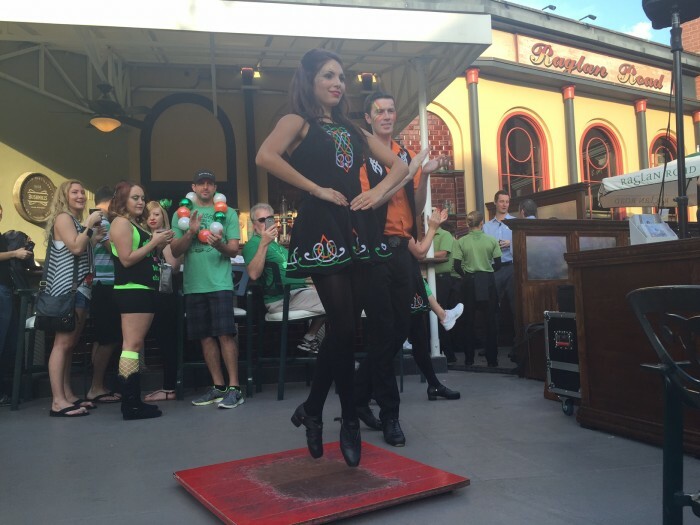 This year’s festival is March 11 – St. Patrick’s Day itself. 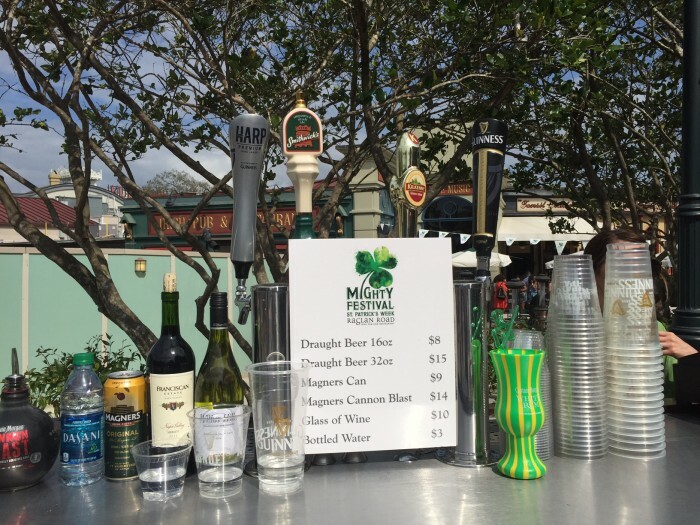 There is no cover charge for the festival, except on St. Patrick’s Day itself ($10 per person) and it is super, duper packed on the big day itself. Soon Avi McGourty took the stage. A singer and songwriter hailing from the Emerald Isle itself, Avi put on a lovely show. 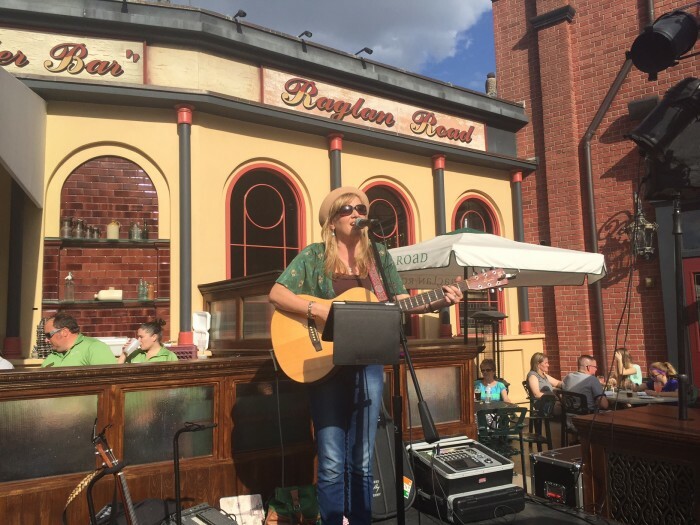 With her acoustic guitar and casual, folksy style she delighted the audience with stories about each song before performing it (in true Irish style). She played quite a few favorites. 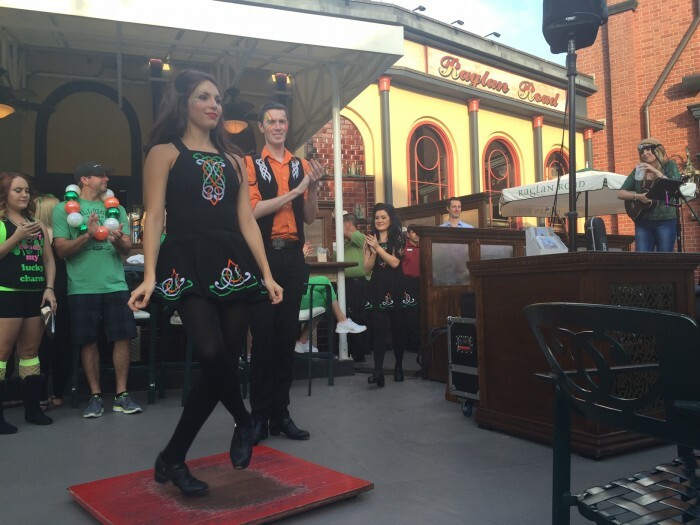 After about five or six songs a trio of Irish dancers made their way next to Avi’s stage and gave a quick performance. My friend and I had our fill of Guinness and Florida sunshine around 5:00 PM and made our way to depart Disney Springs. We observed something I’ve never seen before on Disney property: a line of poles with chain to divide pedestrian traffic on a main walkway. This chain started just before the green construction walls after Paradiso 37 and stretched to the end of the bridge. The jury is still out as to whether or not this is a helpful practice. 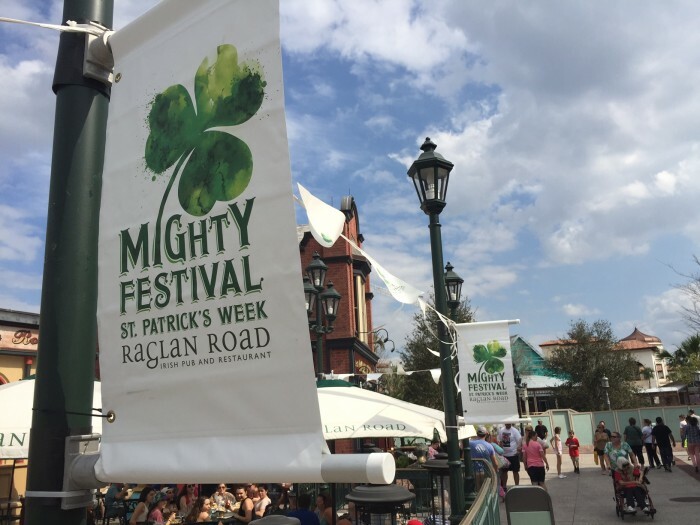 It was my first time experiencing the annual Mighty Festival at Raglan Road. I can see myself returning next year and think it is wisest to enjoy the festivities on one of the days before St. Patrick’s Day. 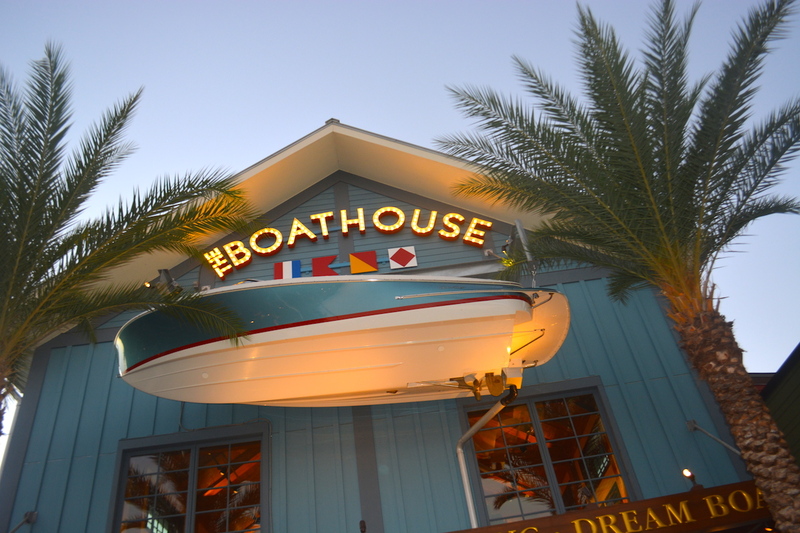 It is interesting to me that another lovely visit to Disney Springs took place solely at The Landing. It’s evident I’ve found my favorite section, I could almost say it is the best ever!